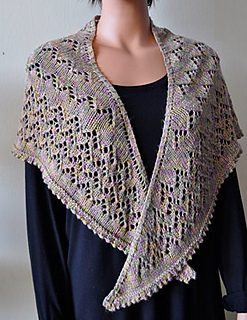 Whether you are out at the market or snuggled up at home with a good book, the Market Shawl is a beautiful accessory that is soft and elegant. 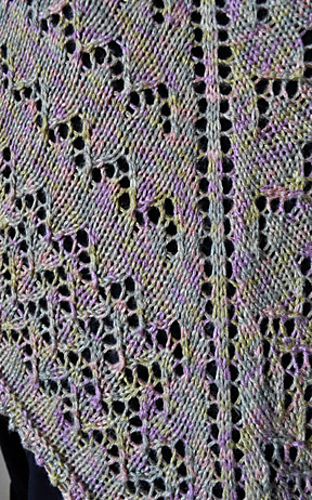 It features a pointed lace pattern throughout, with garter and picot edge finishing. 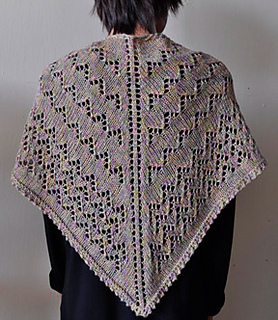 The sheen and silky softness of Panda Pearl make this shawl a delight to knit and wear.